In their nearly 30 years of friendship, Todd Balf and Chris McKeown have cycled thousands of miles together. From treks across New England to a week-long ride through the Rocky Mountains, they’ve shared a passion for biking and a thirst for adventure that withstood even the most challenging of conditions. Through all the impassable roads, unexpected storms, and physical injuries, their love of the sport enabled them to balance the demands of their day jobs and devotion to their families with regular cycling adventures. Todd, a freelance writer whose magazine assignments have taken him around the world, was in his early 50’s when he began noticing the back pain. He put off seeing a doctor at first, blaming the discomfort on a combination of riding and aging, but during a trip to Australia, the pain became so unbearable that he knew he could no longer delay care. He returned home, had an MRI on a Friday, and by the following Monday had been given the life-changing diagnosis of chordoma. The detours didn’t stop there. Todd credits an incredible care team at Massachusetts General Hospital with helping him put together a comprehensive treatment plan, but his surgery was long and complicated and left him unable to walk for quite some time. For someone so accustomed to pushing himself up hills and over finish lines, his new reality (and mobility) was difficult to accept. Chris, meanwhile, had heard about his old friend’s condition and wanted to find a way to help. 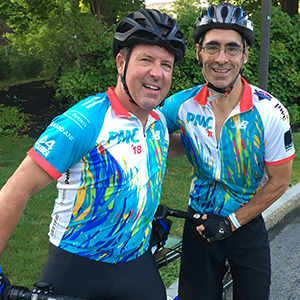 Given their shared love of cycling and Chris’ long-time involvement in the Pan-Mass Challenge (PMC) – a two day, 200-mile bikeathon that raises money for life-saving cancer research and treatment at Dana-Farber Cancer Institute – he came up with an idea. Over lunch in 2017, Chris told Todd he wanted to ride the PMC in his honor, a request to which Todd, flattered by the gesture, happily agreed. But to Todd’s surprise, Chris wasn’t done yet. 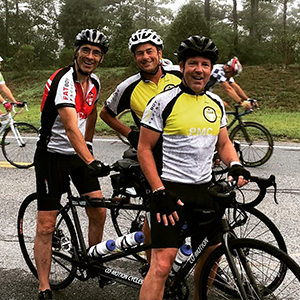 Through Chris’ connections at PMC, he found the duo a tandem bike and convinced Todd to begin training for the August race. Slowly but surely, the men prepared their bodies and their minds. Todd trained at his home in Beverly, Massachusetts, with the help of his son Henry and the support of his wife Patty, and Chris trained on his own at his home in Westwood. Both men worked tirelessly, each believing the other had the bigger challenge and wanting to do their part to make sure they reached the finish line. During this time, Chris also convinced the 30+ riders on Team Fat Boys Slim Sisters, the riding and fundraising team he co-captains every year for PMC, to designate the money they raised in 2018, more than $300,000, to chordoma research in Todd’s name. 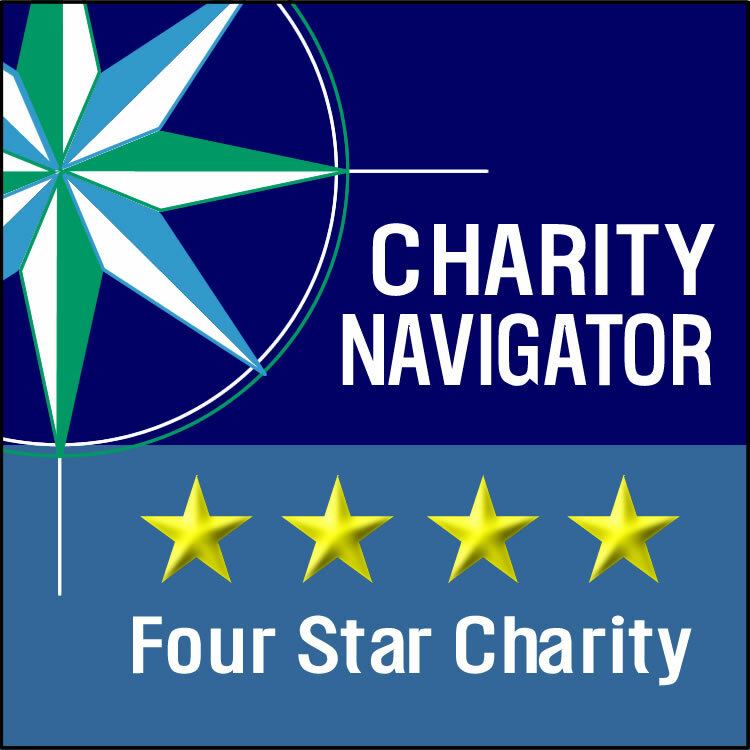 Chris and Todd were determined to find the best possible recipient for these funds. Someone who could take the team’s hard-earned dollars and turn them into advances in chordoma. Through the Chordoma Foundation, they connected with up-and-coming cancer research superstar Professor Cigall Kadoch. 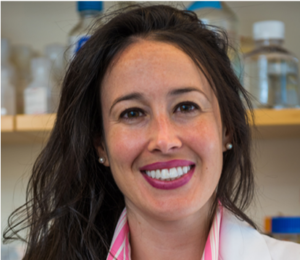 In addition to running a 24-person lab at Dana Farber, this talented young investigator also has appointments at Harvard Medical School and the Broad Institute through which she studies a piece of cellular machinery called the BAF complex which is altered in more than 20% of cancers, including chordoma. Over the past few years, Prof. Kadoch has received numerous honors and awards for her seminal discoveries about BAF and its implications for other rare cancers, and her work has kick-started research into new treatments options that target this alteration. Thanks to Chris and Todd, she’s now applying these learnings to chordoma, to study how alterations in BAF affect the pathogenesis of the disease and what we can do to target it. Working closely with the Foundation, Prof. Kadoch has outlined a chordoma-specific research initiative, the first stage of which will cost $600,000 (half of which has already been funded through the Pan-Mass Challenge). This effort is expected to produce new understanding and therapeutic strategies for not only chordoma, but also several other human cancer types driven by similar cancer-causing mechanisms. We are seeking to raise an additional $300,000 in matching funds to enable Cigall’s lab to complete its mission. Your generous support can make this possible. Early on the morning of Saturday, August 4th, after nearly 9 months of training, Team Fat Boys Slim Sisters set off with Chris and Todd at the helm, covering more than 170 miles in two days through pouring rain and beating sun. They started and finished as a team, raising an incredible $317,000 (and counting!) for the cause. For Chris, the memory will be a lasting one as well. But in a different way. 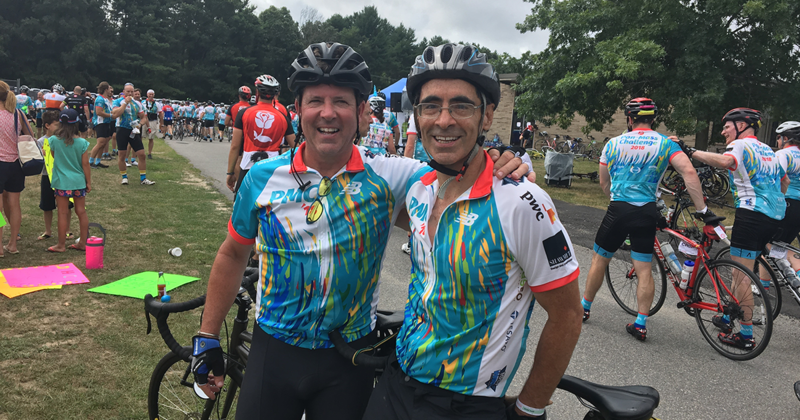 We’re seeking to raise an additional $300,000 to match the Pan-Mass team’s donation and bring the lab’s chordoma research efforts across the finish line. Your gift can make the difference! We invite you to double the impact of your support by making a gift to the Chordoma Foundation and designating it for the Kadoch Lab at Dana-Farber today. In November of 2018, the Chordoma Foundation presented Todd Balf, Chris McKeown, and Linc Cornell with an Uncommon Champion Award on behalf of Team Fat Boys Slim Sisters. 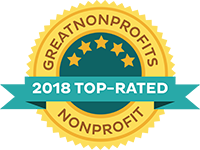 The Uncommon Champion Award is presented annually to an individual or individuals who have inspired an extraordinary groundswell of support for the Foundation’s mission and efforts through their own selfless acts.